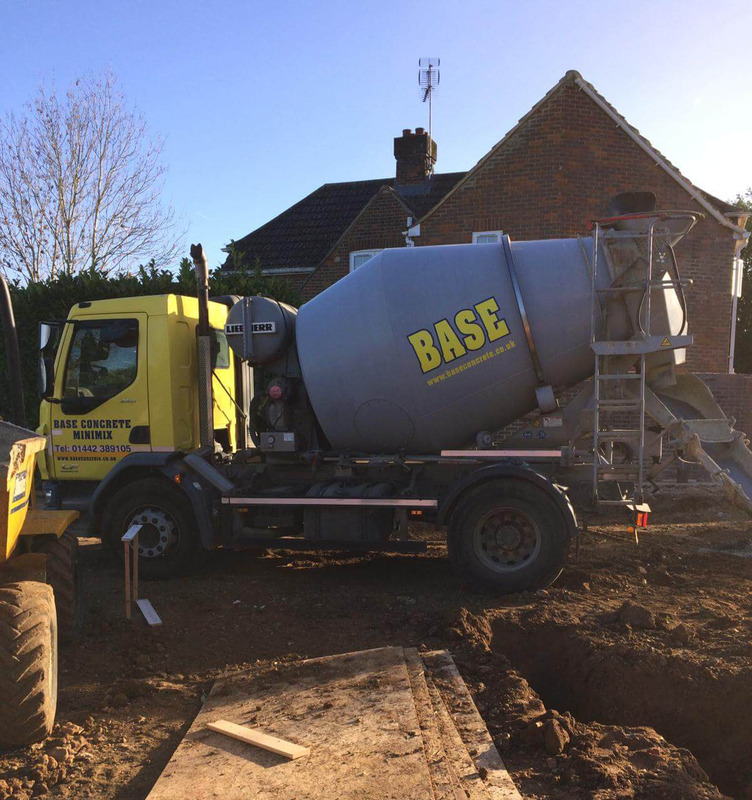 At Base Concrete we have small mixer lorries that are commonly known in our trade as MINI MIX lorries. Not all concrete companies have these smaller lorries but they are ideal for jobs that have tight access. They are not any smaller width wise but are much shorter in length so they have much better manoeuvrability. These lorries are the same size as a 6 yard skip lorry, so if you’ve had s skip delivered and that lorry was ok then our Mini Mix lorries will be fine access wise. These lorries can carry upto 4.5m³ and are ideal for delivering small amounts as our smallest amount we deliver is 0.5m³ upwards.